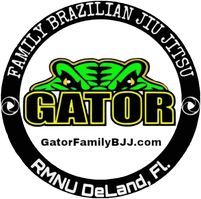 5th Year Anniversary - Gator Family Brazilian Jiu-Jitsu, DeLand Fl. We are extremely excited to be celebrating our 5th year serving you our students and community! When the original RMNU Deland closed we sprang into action to find a way to continue the legacy. We started with one student and have been growing ever since! We are honored to have been a part of your life. 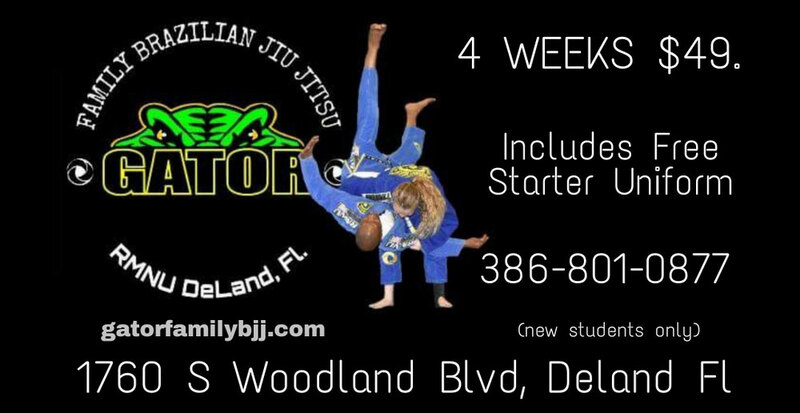 As we continue to serve and improve we are reaching out to new students with an amazing opportunity to get started in Brazilian Jiu-Jitsu. New Students get 4 weeks of training and a starter uniform for only $49. We look forward to having you join us in the upcoming year for fun, fitness, self defense and competition. We are planning our 5th year anniversary Open Mat so stay tuned for that announcement. Thanks so much for being a part of the Gator Family!